Shopping for Popeye Bed and Bath? He's Popeye the Sailor Man! 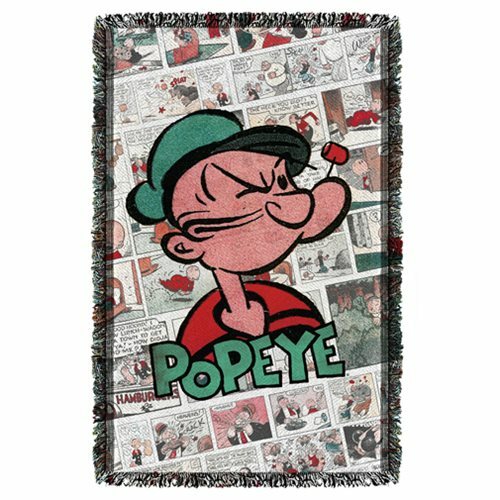 The comic strip icon and a slew of his images fill this marvelous Popeye Panels Woven Tapestry Throw Blanket. Just don't let Bluto know you have it. And don't forget to eat your spinach! Measures approximately 58-inches tall x 36-inches wide.